We are pleased to announce that Spring Web Flow 1.0.5 has been released. This is a bugfix and minor improvement release addressing all issues reported against 1.0.4. We recommend users upgrade to 1.0.5 from previous 1.0.x versions. 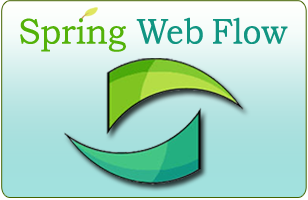 Spring Web Flow is a next generation Java web application controller framework. The framework provides a powerful system for implementing navigation logic and managing application state consistently across a variety of environments. Work on Spring Web Flow 2.0 continues, with the next 2.0 release milestone (M2) due out October 30th. Interface21 has an full-time position open in Melbourne, Florida on their Web Application Development Products Team, the team responsible for sustaining the development of Spring MVC, Spring Web Flow, and emerging Spring Web technologies. Experienced web application developers able to work in Melbourne, FL are encouraged to apply. Working with Spring Web Flow, the definitive guide to Spring Web Flow 1.0, has been published by Erwin Vervaet, founder and co-lead of the project.